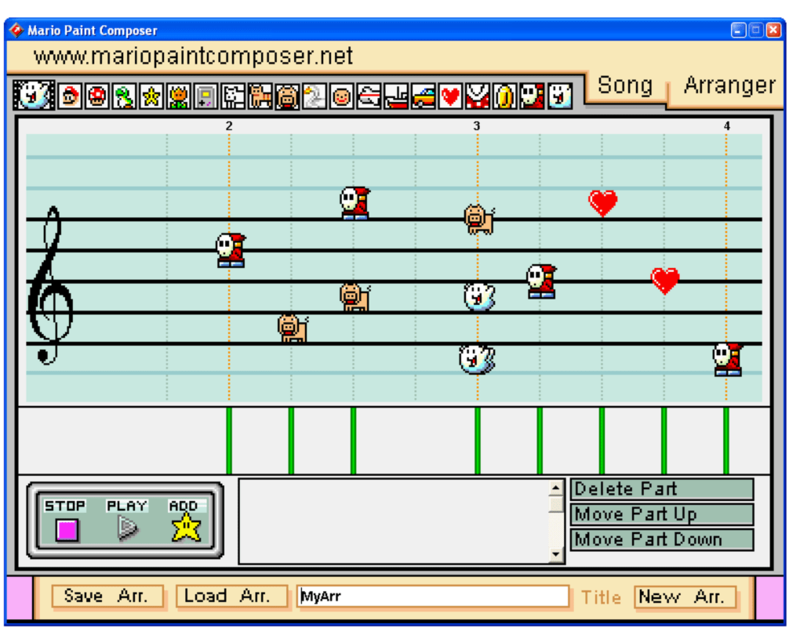 Mario Paint Composer is a remake of the Music Maker from Mario Paint on the SNES. Even if you're not a nostalgic, it's a fun way to make music by using airplanes, cars and characters from Super Mario Bros. You can create music only in MIDI but this simplicity and Mario theme makes it ideal for kids that just want to have some fun. 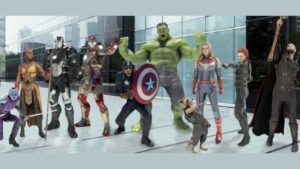 To create music, you simply insert characters along the timeline. The different characters represent different sounds in Mario Paint Composer. Images placed on top of the line are high notes and lower notes are placed on the bottom line. Some controls at the bottom give control over playback although they are mainly limited to basic commands and controlling the tempo. Once you've completed experimenting, simply record your song. 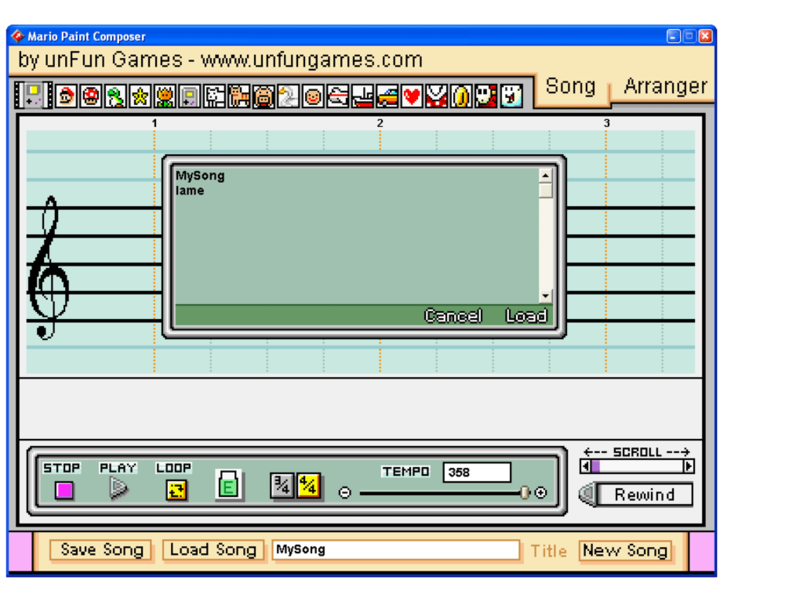 The results are very limited in MIDI and you can't export yout creations to play on anything other than Mario Paint Composer. 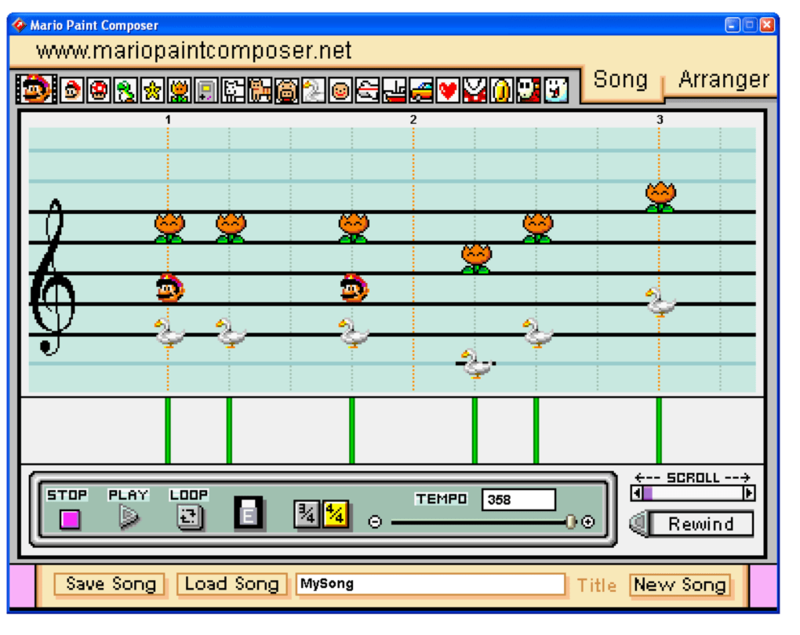 Mario Paint Composer is a fun app for kids or those nostalgic for it on SNES. 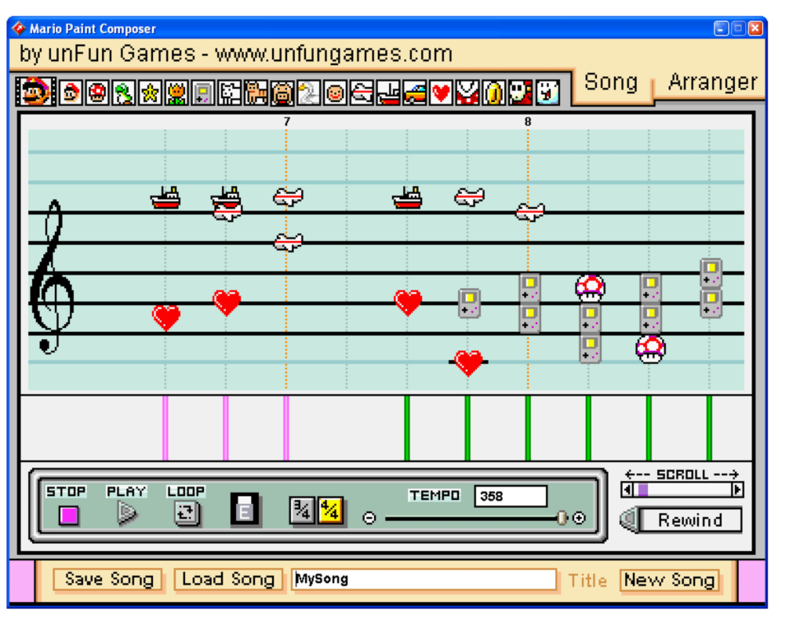 it is a piano app for the computer. 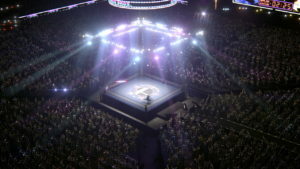 i like the YouTube vidieos of this game. i think it is a lot like Piano Disc IQ. Pros: you can make all kinds of songs. you can use midi files. Does not matter how long it takes, but its Awesome. Awesome, Its Useful for music. It does take alot of time. but that does not matter. the more you play the more you learn. All The Sounds Can be used for amazing stuff. Its Useful for letting the public see how great you are. Good Music Maker. This is a great way of making music. It's simple and fun. However, there are always so many errors. There is always a pop-up that says "script error. Continue? "something is wrong with this program, i don't know if it's my macbook or the program.